Alfa Romeo's Giulia, shown, and Stelvio are built on the Giorgio platform. LOS ANGELES -- Alfa Romeo's new rear-wheel-drive platform underpinning the Giulia sedan and Stelvio crossover is likely to be used on other Fiat Chrysler Automobiles vehicles, the brand's head, Reid Bigland, has said. "Modifying that platform to spawn additional FCA products is a possibility," he said. "We've got a jewel here. 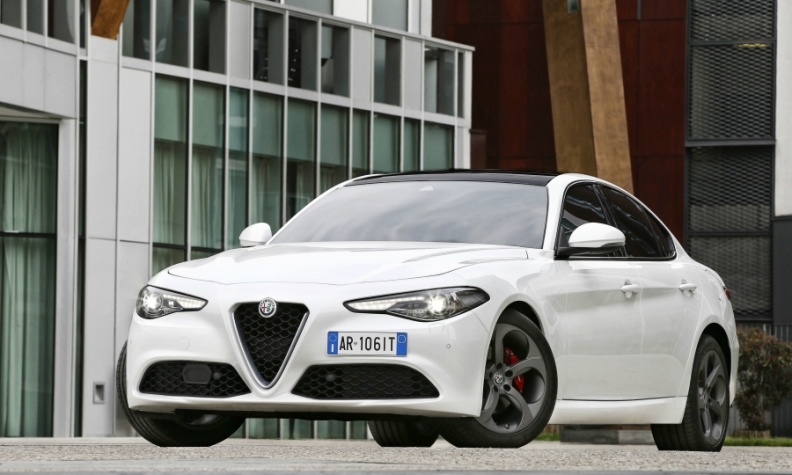 In terms of driving dynamics, it's best in class, so it's going to be difficult to keep that exclusive for Alfa Romeo." It will spend "many more billions" to develop the rest of the range, FCA's chief technical officer, Harald Wester, said at the launch of the Giulia this year.